Following recent remakes of "Bohemian Rhapsody" and True Blood and an infamous Katy Perry segment, Sesame Street has been thrusting itself back into pop culture recently—and I love it! 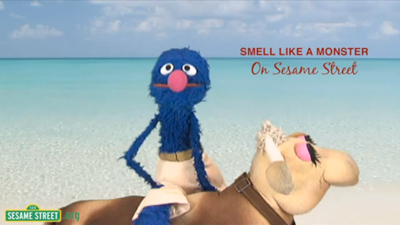 Check out the most recent video from the Big Bird and Friends, "Smell Like a Monster." I dare you not to smile. I'm on a horse. [moo] ...Cow.